This drawing captures the elaborate workings of an engine. It really showcases the photorealistic style which is particularly evident in the reflective qualities of the metal. 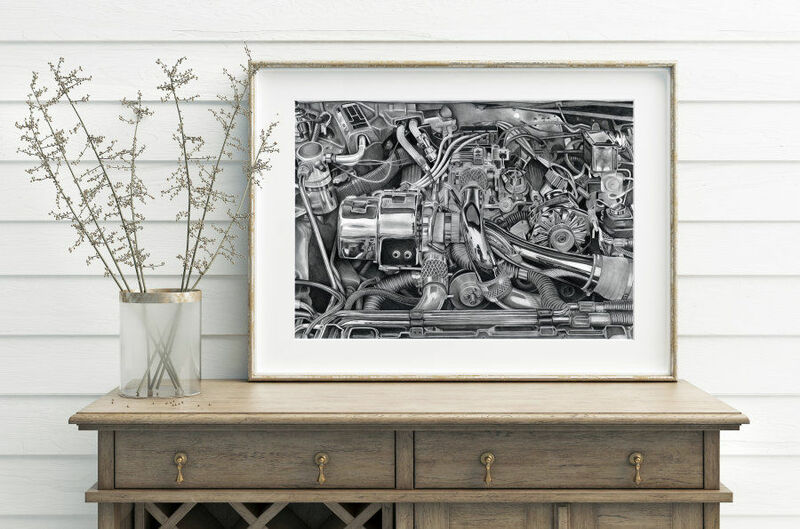 This drawing would be the perfect addition to any car-lover or mechanic's home!